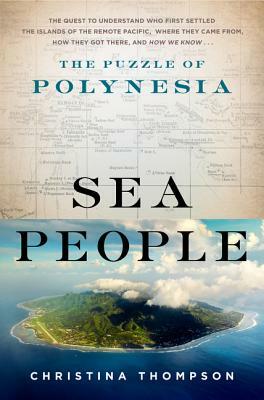 A blend of Jared Diamond’s Guns, Germs, and Steel and Simon Winchester’s Pacific, a thrilling intellectual detective story that looks deep into the past to uncover who first settled the islands of the remote Pacific, where they came from, how they got there, and how we know. Christina Thompson is the editor of Harvard Review and the author of Come On Shore and We Will Kill and Eat You All: A New Zealand Story, which was shortlisted for the Douglas Stewart Prize for Non-fiction and the William Saroyan International Prize for Writing. Her essays and criticism have appeared in numerous publications, including Vogue, the American Scholar, the Journal of Pacific History, and three editions of Best Australian Essays. She is the recipient of numerous fellowships and awards, including a National Endowment for the Arts Creative Writing Fellowship, a Writer's Grant from the Australia Council, and a National Endowment for the Humanities Public Scholar Award. A dual citizen of the US and Australia, she lives outside of Boston with her family.